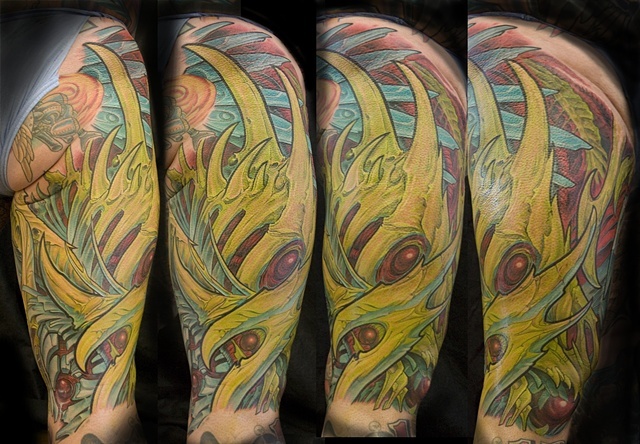 This was a marathon... we tattooed for three straight days, averaging around seven hours per day if i remember right. This man is a tank! !